Opening Times: Mon–Thur: 10am-8pm, Fri: 10am-5pm, Sat: 10am-5pm, Sun: 11am-4pm. Closed bank holiday 4-5 June. I went and meet Simon while he was setting up his new exhibition at the Swiss Cottage Gallery inside the Swiss Cottage Central Library. The exhibition looked great spread over two spaces and well work a look. 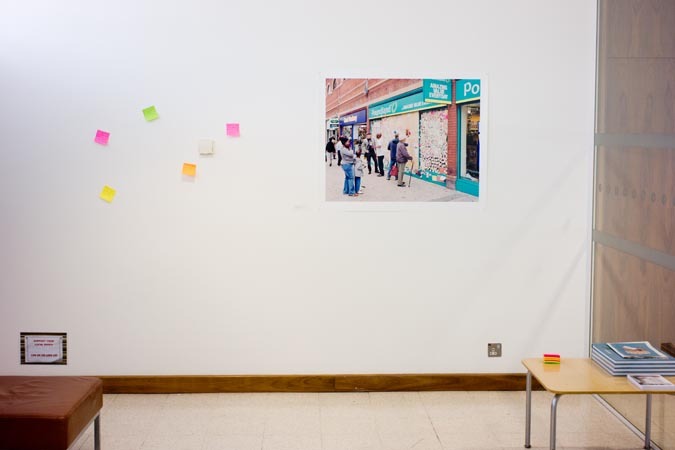 I got to put a few post it notes on a wall to begin what Simon wants, he has one wall that he wants the public to offer suggestions or ideas to enable people to engage with the subject that he has photographed. The exhibition is on a subject that I am going to be spending a lot of time on over the next few years while I do my PhD so it is interesting and great to see other photographers approach to a subject that I am going to be exploring. 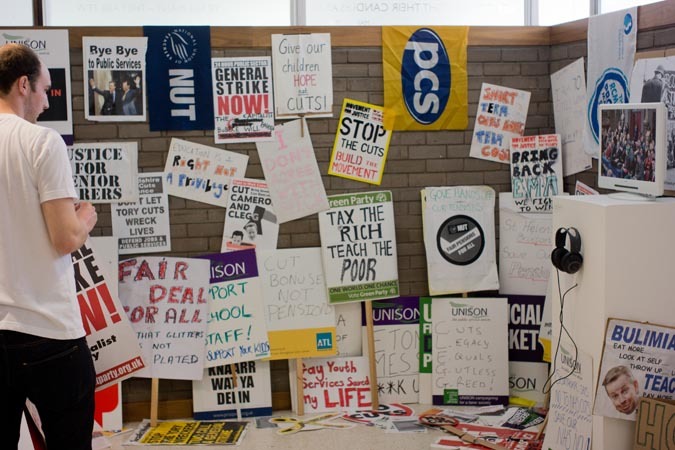 Simon has also been collecting signs from demonstrations which he has attended, these are also on display at the gallery.